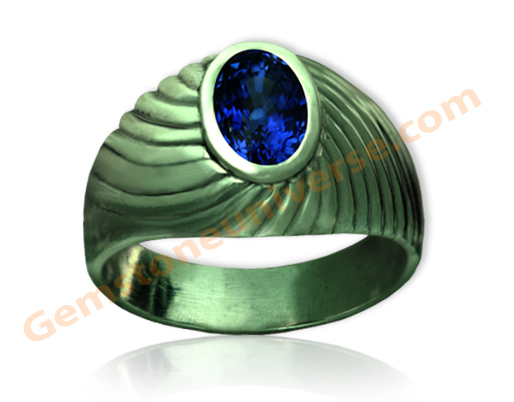 Comments There are some things in this beautiful world that evoke a stunned silence and this Blue Sapphire is one of them. 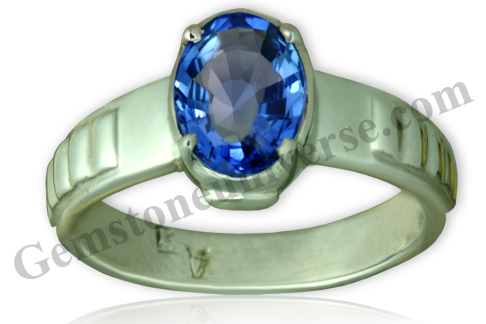 Beautifully fashioned Oval unheated Blue Sapphire from Sri Lanka. Top class faceting for maximum lustre and a color that is mellow and striking at the same time. Silence and pleasure at the same time. Lord Saturn will be pleased. Comments A Gemstone that comes once in a lifetime would be an understatement to describe this fully natural and unheated Ceylon Sapphire, which is exactly (Yes exact color and shade) the Kashmir color Blue Sapphire from the famed Soomjam/Sumjam Mines of Kashmir of the yore. 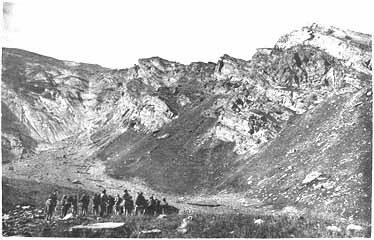 These mines are lying at an elevation of approximately 4500 meters in a valley in the hamlet of Soomjam. 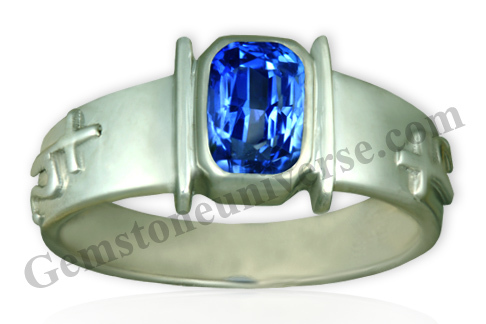 Kashmir Blue Sapphires were particularly famous for the gorgeous velvety look. Wonderfully pure, exotic and mesmerizing! Words cannot describe this intense and Royal velvety Blue Kashmir color natural Blue Sapphire with perfect symmetry and proportion. 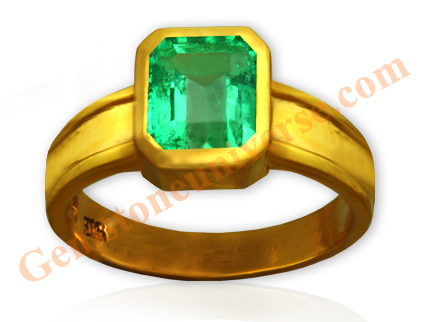 A Gemstone for the connoisseur and a collectible! 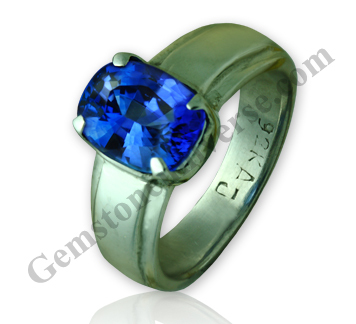 This pure Blue Sapphire goes to the family of an gracious existing patron. 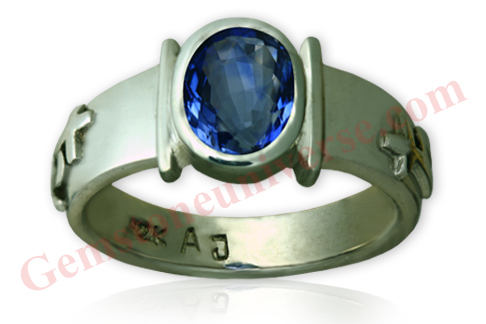 A part of the Gemstoneuniverse heritage this Blue Sapphire ring of Lord Saturn is unforgettable. 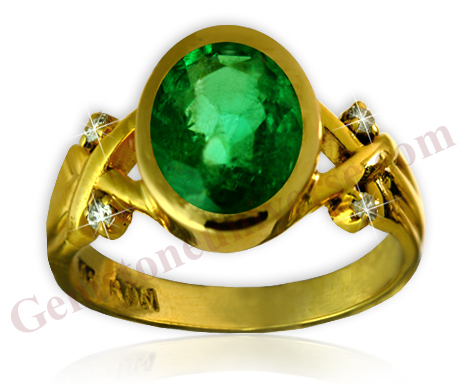 Comments The work of nature is truly divine and miraculous and this can be seen in this enchanting 100% untreated royal spring green color Colombian Muzo Mine emerald. 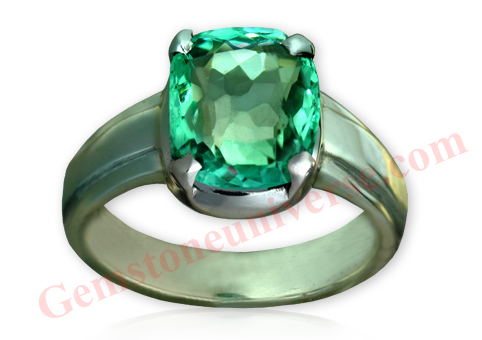 With its Gorgeous emerald cut, great size, amazing clarity levels and a unbelievable price! 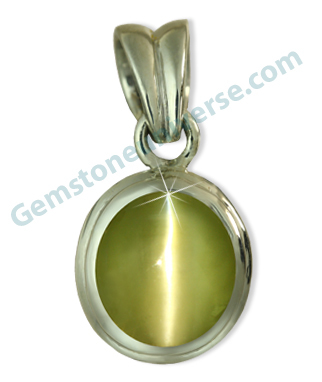 A potent and fertile talisman to harvest the best that Mercury has to offer! 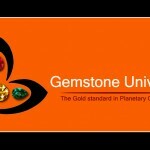 Mercury – the planet of Business and Communication! Comments The unique characteristic of Victorian Style Jewellery was ornate designs and still the classical rich but understated look. Featured here is a gorgeous emerald crystal from Zambia nearing 3 carats that is fully natural and unenhanced flanked by a total of four shimmering Diamonds. 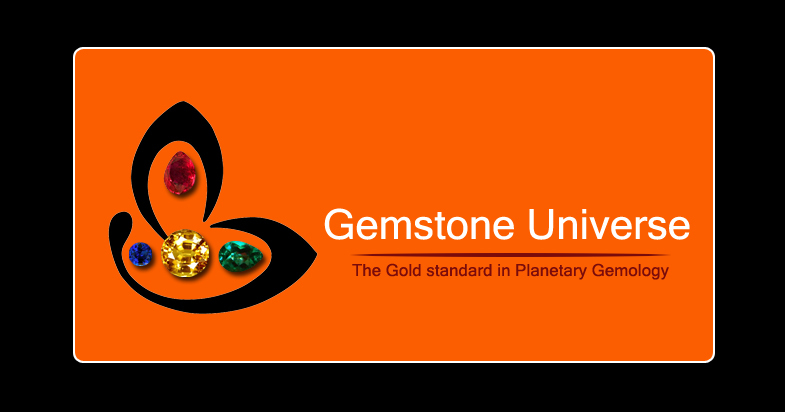 Great Jyotish talisman especially for those in whose horoscopes both Emeralds and Diamonds are recommended or in those horoscopes in which Mercury and Venus are conjunction. Focus in the centre of this Zambian Emerald to judge clarity. 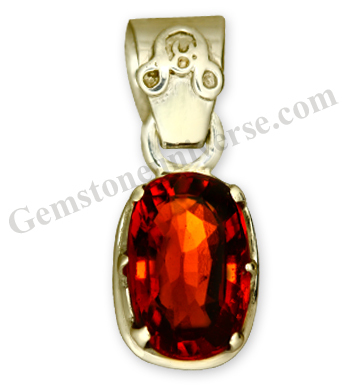 Comments Near eye clean fiery orangish Hessonite Garnet as a centre piece with the sacred Rahu symbols on the loop for a magical planetary Jyotish Talisman. 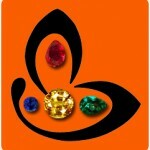 Also inscribed in the Rahu symbol is the sacred number 4 that represents Rahu energies. Consecrated and energized with Rahu mantras, this talisman will give the best results the North Node has to offer.